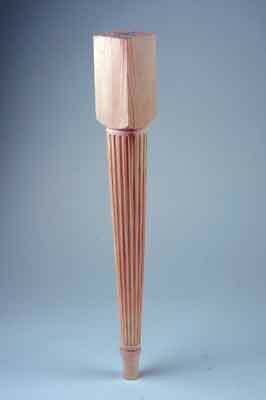 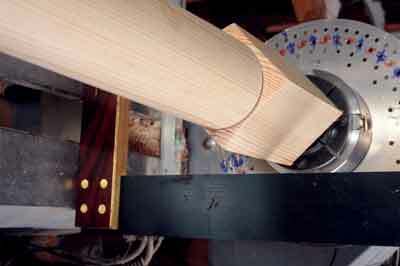 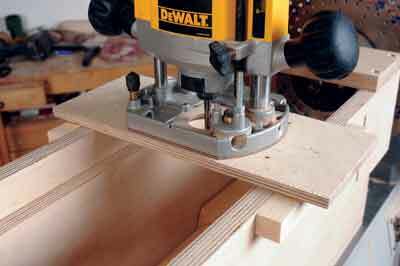 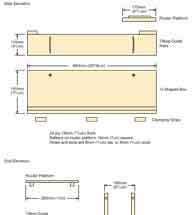 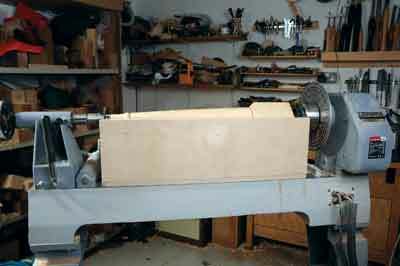 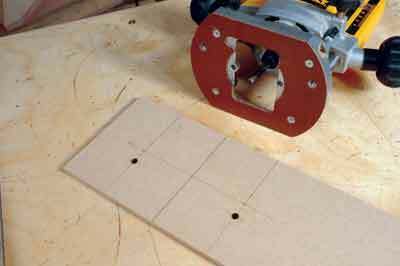 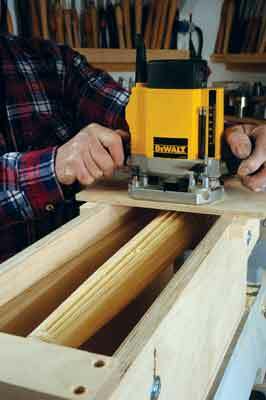 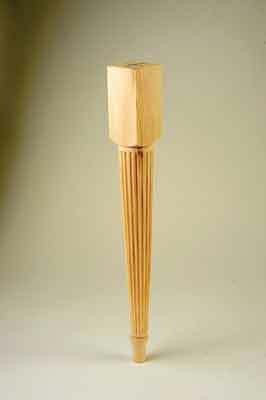 While it can be easy enough to turn legs, columns and other spindle forms, applying decorative fluting lengthwise is another matter and this is where the router, which is typically more of a general woodworking tool, can play its part. 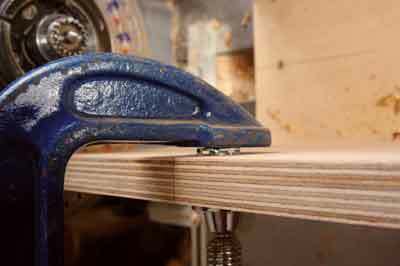 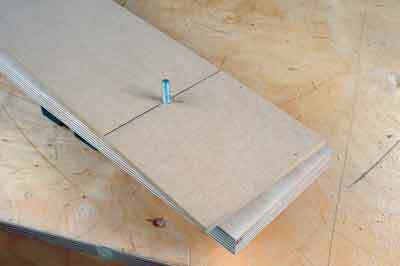 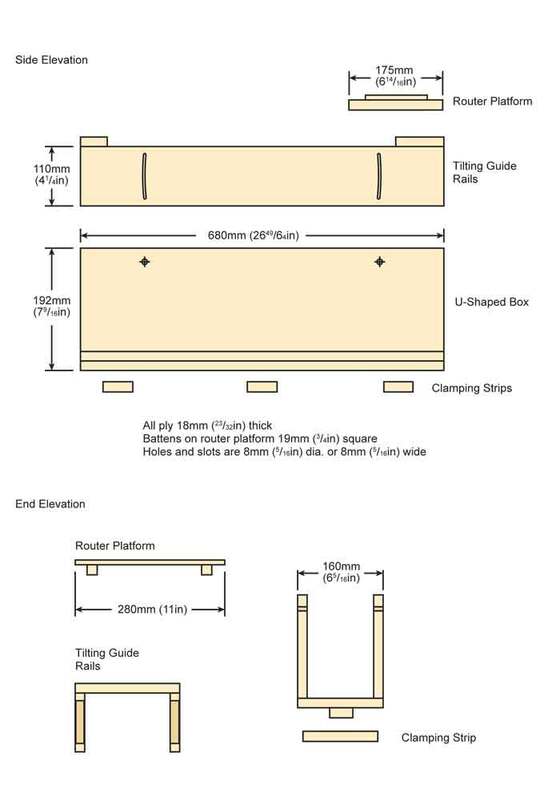 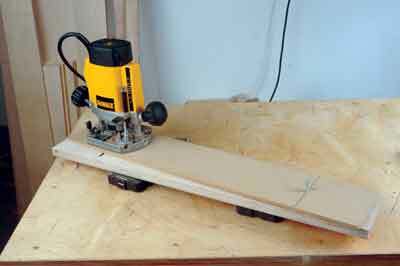 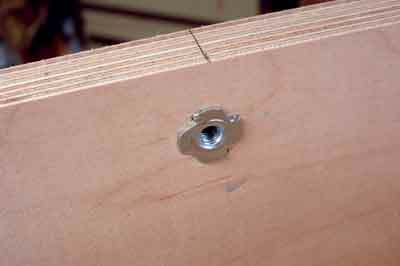 To do this requires the making of a special jig and it needs to be versatile and adjustable enough to do more than one job. 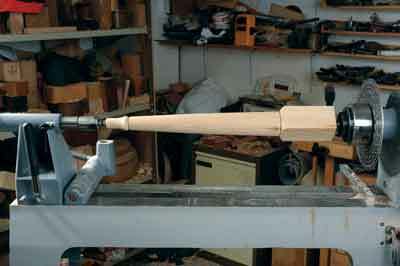 The version shown here fits a flat bed lathe with a slot in the middle, but it would be possible to create a version that will fit on a twin-rod model as well. 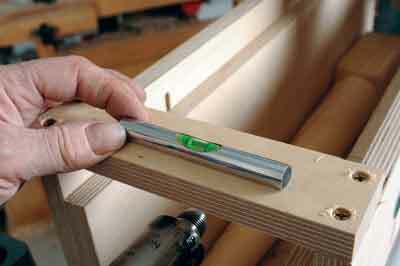 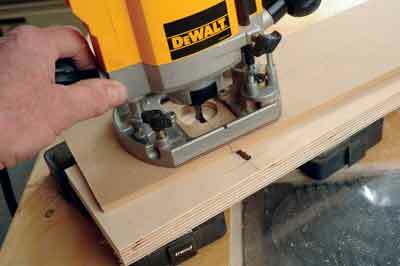 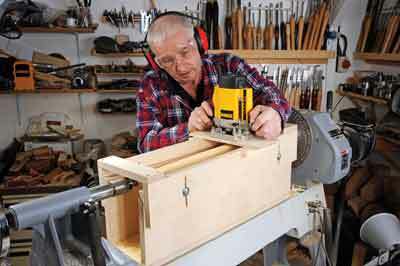 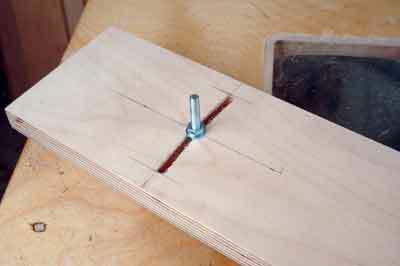 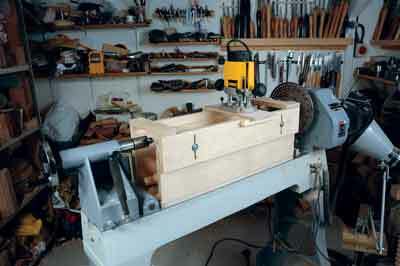 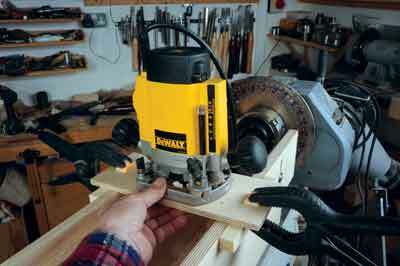 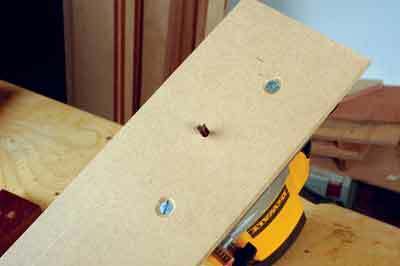 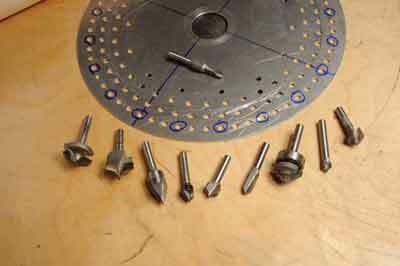 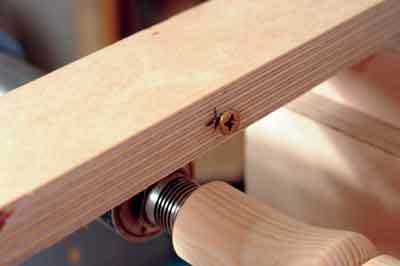 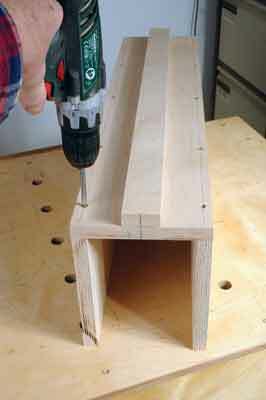 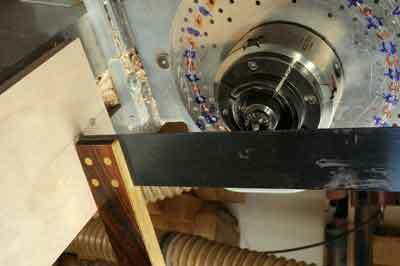 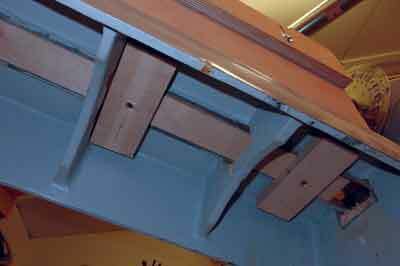 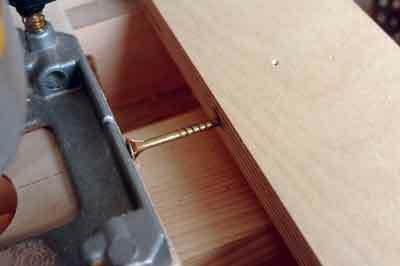 The jig will also need to be sized to fit your capacity lathe and the length of work you intend to do. 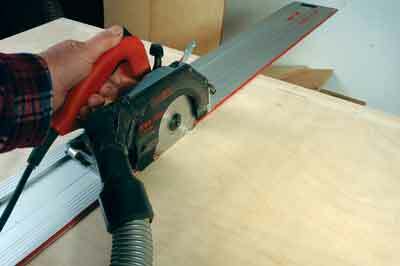 Rest the cutter on the job and set the depth stop to give a modest cut depth to start with. 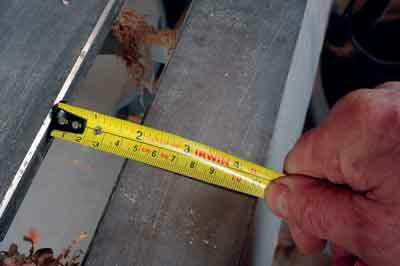 Once you have done a pass and checked the depth, you can set it deeper if necessary. 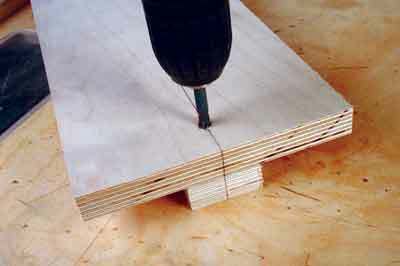 To defurr the cut, you can run the cutter back in the other direction, which will clean up the cut, then move to the next registration position and repeat the process, etc.